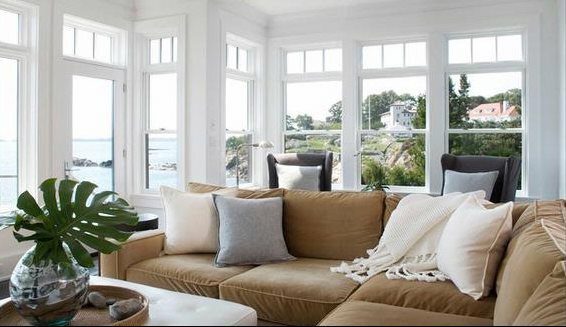 Using white as the color of the walls of your home is one perfect solution. Especially, for those who get bored and need a bright interior. Because the white color is able to reflect light better. For this reason, the interior of your home can feel lighter even with the lack of light. In addition, the white color also gives you more freedom to decorate the house. Unfortunately, some people feel too dazzling using white color. In addition, the white color also makes the house feel “cool”. Do not be afraid to play in the lighting color. 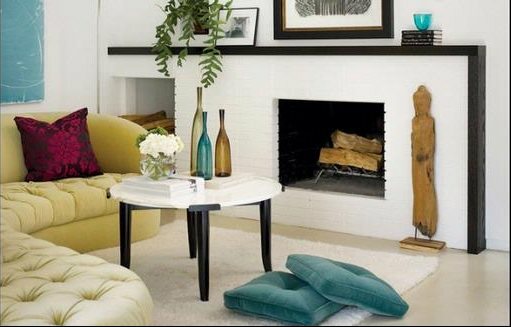 If you feel white walls are too “cold”, you can “warm up” by using a light yellowish. Use tech LED lights so that the room seem warm without getting hot. In the meantime, you can also play a more creative color. For example, using the crystal turquoise colored lights can also give a unique feel to your room. White coloring gives the furniture in a room with white walls just make the space more “cool”. Choose furniture with colorful festive. 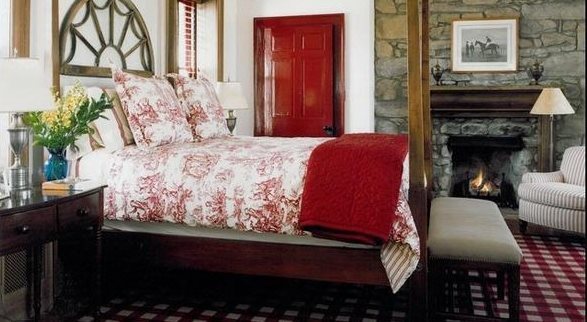 For example, use a chair with a striking red patterned wooden table. With this accent, the room became more colorful and varied. Use the paintings or photos with a large size to decorate the space, while closing your white walls. With this elegant way, you can provide color as well as “volume” in your room. Yes, because you no longer have a space that feels too broad. With white walls, you do not need to be afraid of choosing the seat or patterned sheets. Explore your imagination and experiment using a patterned material! You can give a surprise by giving a striking color on the door of a room full of white color. Choose colors such as red, blue, green, and even orange. Make sure you choose a color that complements the color of your furniture. 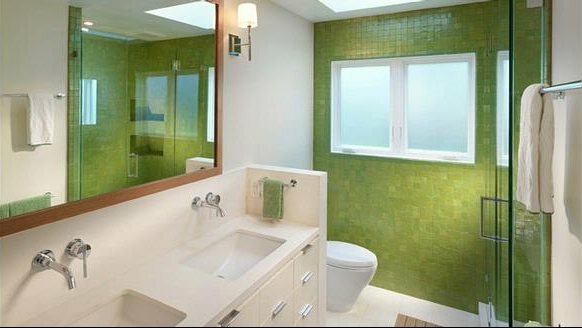 For a bathroom that was covered with a white color, you can make it more exciting by choosing one wall. In addition, you can also bring brightly colored tiles. Carpet can brighten the atmosphere immediately. You just need to choose the style, color, and size of the right carpet for your home. Do not just pick a color. Have fun with your pillowcase. Pick a few colors that complement each other. Note to you, look at the color wheel and use colors that are opposite each other. Before you were satisfied with the new decorations that make your home more colorful, do not forget, that you also can choose the color the room with colorful curtains. If your home is in a location with stunning scenery, let around your house “coloring” interior. Open the window and let the color, texture, and the view from the outside into the interior. However, note the need for privacy, and security your furniture from sun exposure.